The roofing system of your commercial or residential facility is a very important part of the entire structure. However, you will only comprehend its importance when it starts malfunctioning. Proper and regular maintenance of the roofing system might help you to prevent costly roof repair works. But, you may not be able to comprehend the importance and so, not have regular maintenance works done in your roofing system. Over time, you will start seeing some signs which will indicate something big is happening to your roofing system and you should take evasive actions right away. 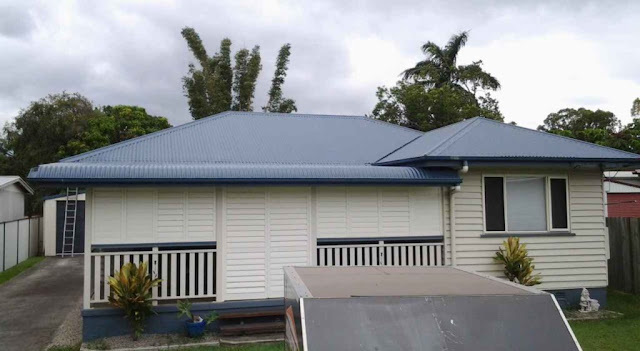 In such occasions, you should look to have roof restorations by roofing experts in your area. Here are some of the signs that you should look at which will indicate that need roof restoration service. The first and the foremost sign that you should look at while looking for the roof damage is the dark spot. It may be visible from the inside or the outside part of the roof. Dark spots indicate that the water has gone inside the material. That is why it is damaging the roof and it is making the roof vulnerable. That is why you should look for an expert to have roof restoration. Otherwise, your entire facility could be in dire straits. If you see that worn shingles coming out from the surface of the roofing system, it will definitely be an indication of roof damage. There are multiple reasons why this happens. You can prevent it from happening through roof maintenance works. However, if you have already committed the mistake and looking for the remedy then roof restoration is something you should go for. One of the biggest reasons that most experts of roofing solution suggest roof restoration is the ageing of the roof. If you have installed your roofing system 15 to 20 years ago then it might be worn out by now. Also, by now, your roof must have started to show multiple issues. So, going for a roof restoration work will help you to cut all these repair costs once and for all. Therefore, consider the age of your roofing system and then look for the restoration work. If your roofing system is intact then it will not let the lights come into the facility. But, if the roofing system is already damaged then you might see some part of the sunlight come into your facility. You will be able to see this by staying inside the facility. If you see something like that then the best remedial option for you would be to go for the roof restoration service. In this way, you will be able to make sure that your roof is safe and secured. So, these are some of the signs that you should expect from your roofing system when it will need restoration work. Choose the experts for roofing system solution carefully and get the roof restoration done as soon as possible.